The Clairmont Table Lamp is part of the esteemed grouping of outdoor lighting solutions by Kenroy Home. Kenroy Home is an experienced designer of outdoor lighting options that do not suffer from some of the pitfalls of other outdoor lighting fixtures. 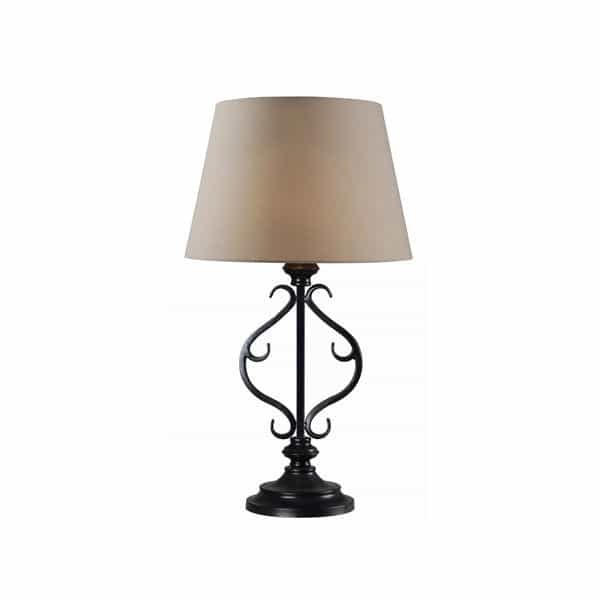 The Clairmont Table Lamp is ornately and delicately designed, as indoor lighting options typically are. It features stylized detail that provides not only a gracious light source functionality, but also style-forward accent to your space. The Clairmont Table Lamp has all of the feature necessary for outdoor placement during inclement weather. It features a weighted base for steady placement during high winds, a waterproof on/off switch, and a water-safe light bulb. The solar disc lifts out for easy charging with either solar energy or AC connection. The disc powers the .65 watt LED bulbs to shine at full capacity, lighting your dining table, bar area or crafting space day and night.